“If you want it badly enough, you will climb it”. That seems to be the prevalent motto for a unique new kind of gym here in Saint Louis. 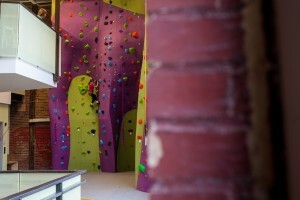 Not so new across the country, but new to STL is the latest fitness rage… climbing gyms. 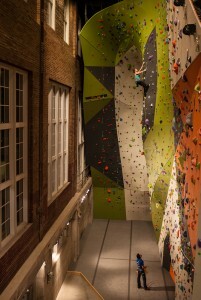 One of two active climbing gyms here in the city, Climb So Ill makes lots of promises. 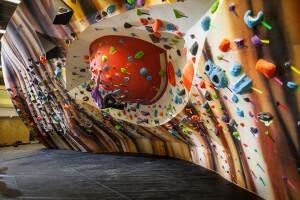 It promises to be the gym for both the hard-core climber and the recreational one. It promises to be fun AND educational. And it promises a whole new fitness experience. One step inside this beautiful new facility will show you that it does not have to look or feel like you are outside to get the same intense climb workout that you would get actually being outside. And bright lighting, artistic wall design, as well as functionality are all brought together as a mastermind of the beauty of climbing, brought to life inside a surprising location. 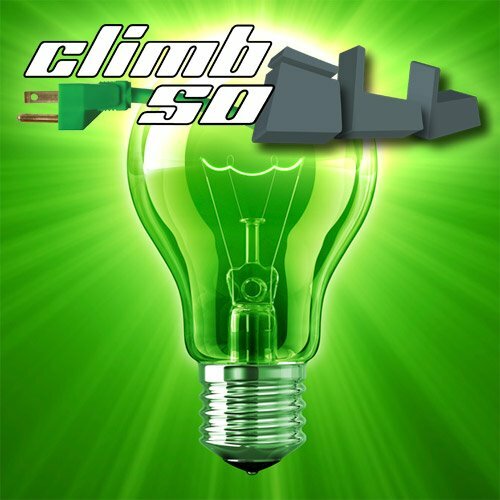 Climb So Ill is the brain child of Brothers David and Daniel Chancellor and their long-time friend Ian Anderson. They have invested a lot of time and energy in making the climbing atmosphere custom made, to provide the most unique and climber friendly experience. Whether it’s the heating and cooling units designed to scrub the air of chalk or brightness of the wide windows, the gyms minimal electric consumption, or just the emphasis on maintaining the historic aspects of the building which was built in 1903. Yes, this building is part of the now defunct City Hospital that was built in 1903 and continued to serve as that facilities well into the 80’s. After the hospital closed it sat abandoned and began to deteriorate until about 5 years ago. Being inside it now, you will find a hugely changed façade; and truly one of the most accommodating and relaxing places to climb. I personally am what many will dub a beginner climber (11 months and going). I ventured to this new gym in part because of its close proximity to my home, and in part due to its unique design. It is abundantly clear when you walk in that this facility is very welcoming of climbers of all levels; they only ask that you be serious, courteous, and willing to share your experience with others. This approach has garnered over 150 monthly members and is still growing. You don’t have to be a member to visit this gym; you can purchase a day pass or even a multi punch pass. Don’t worry if you don’t have your gear with you or you don’t own any, you can rent some from their pro shop for a modest fee. This brings me to something that many who are true climbers will want to know… “How good IS their pro shop?” After a careful inspection it is clear you are not shopping at REI or Moosejaw. The owners have decided that since they are true climbers, they want you to have the selection of what they believe to be some of the best products on the market. As a result there are some brands that you don’t get to see on sale, such as Arc’teryx or La’Sportiva; instead you find Petzl, Evolv, and Black Diamond among the brands that line the shelves. And, you will find that anyone who works there is just as knowledgeable about the equipment as they are about the technique themselves. I wouldn’t be doing my job effectively if I didn’t compare this gym to their only competition in St. Louis; “Upper Limits”. Sadly, my only experience with Upper Limits is at their downtown location which to me seems dark, dirty, and crowded. And the Upper Limits staff seem more like Nazi vultures at times, waiting to bust someone for answering a question to a fellow climber about what a difficulty rating is or what types of shoes should you wear, even though the “no instruction” at climbing gyms is a given. The big difference for me is that Climb So Ill makes it not to intrude upon climbers to a point of feeling like you are learning on your time, but they are there to help if you want it or just want to chat them up about the sport. I enjoy this too because it makes me feel more comfortable talking to others in the gym both about climbing and non-climbing stuff like the music playing in the background, or local events and speakers. They have this large open space, a mezzanine to do homework, watch climbers, or just chill out in. This is a true bonus in addition to the warm atmosphere and makes this a place that I want to return to regularly. The membership prices are a bit high, per month ($54 regular, $68 for premium) and currently there are no multi-month or yearlong membership breaks on memberships. But I feel confident that those prices will change and evolve with more people finding out about this gem in the city. Both current memberships offer distinct perks. The regular membership gets you into the facility during normal operating hours and includes access to the training room while the facility is open for climbing (day pass users can access this as well), a 15% discount in the pro shop & classes. The premium membership includes 24 hour access to the training room, free weekly fitness labs, free equipment rental, and one free guest pass per month plus equipment for the guest. I have already bragged about this place to friends both in and out of St. Louis and I can easily see this place become a destination attraction for athletes and adventure seekers passing through St. Louis. Even pros stop in and offer seminars on occasion. This is one new gym for St. Louis that you will not want to miss.